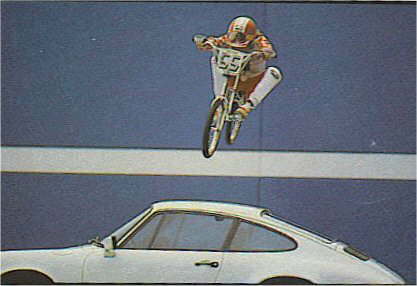 As one of the hottest racers to ever come from east coast, Tim Judge hit the spotlight in the late 70's by being the first BMXer captured on film doing a (eek,gaps) ONE FOOTER! 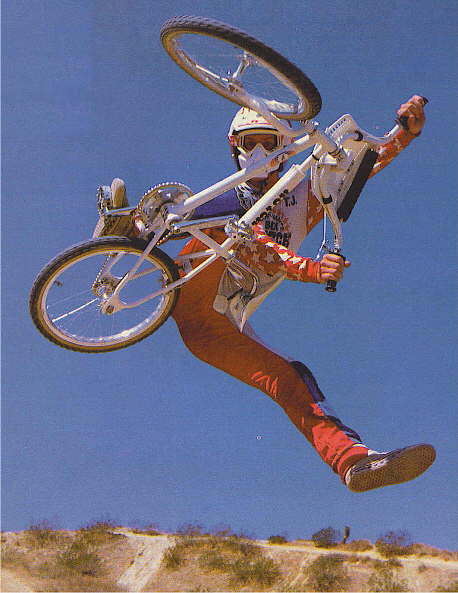 Since 1970, Tim Judge has been performing for fans all around the world as a Pro BMX racer. Tim won his first world championship at the young age of 15 facing the worlds best BMX riders. 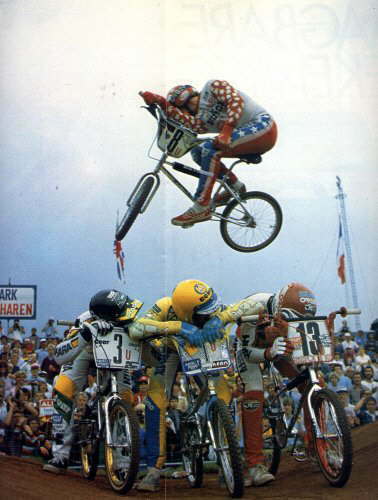 During his BMX carrier, Tim was named number #40 of the worlds greatest top 100 BMXers of all time by American BMXers. 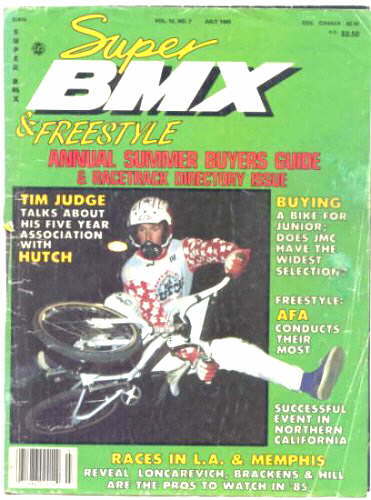 Tim "Da Judge" Judge, has several BMX bikes that are still today named after him. 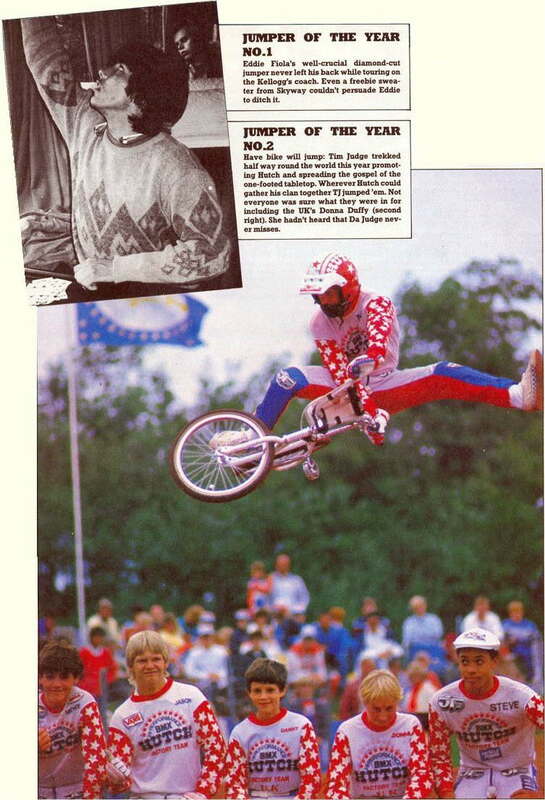 Tim Judge ALWAYS had to please the crowd with insane style. His specialty one footed tabletops, that no one else can or even will match. A true legend that lives on in another radical sport. More information on Tim's BMX career click on the following link here. In 1984, Tim left BMX racing to try his hand at watercraft racing and motor building. During his career in 1985, Tim captured several national and world titles piloting his Yamaha Blaster. Personally responsible for over 40 world titles, Tim served as RIVA/Team Yamaha's chief performance mechanic as well as a racer until late 2003. In 2004, Judge Motor Sports was born. Judge Motor Sports is known as one of the industries elite high performance watercraft shops. With over 20 years of racing and mechanical experience, Tim's legendary modifications and race setup continue to dominate the world of watercraft racing. Tim continues to enhance watercraft technology with his Kawasaki super charged 4-strokes with over 380 HP and reaching speeds of 90 MPH+ on the water. Tim would like to thank everyone who has supported him through the years and who continue to work with him today. © 2006 Judge Motor Sports, Inc.